I came to the surface exasperated. The colors, the clarity, the biodiversity, the beauty! It was incredible. My first SCUBA diving experience. Rainbow Reef! I was on a work trip to Vanua Levu and Taveuni, Fiji. I knew I probably wouldn’t have the chance to ride any waves, even though I asked every boatman and local if they knew of any nearby. They all said it was on another part of the Island. I asked about Tavarua and even though I was in the right country, it was still a day’s trip away: a flight, numerous boat and bus rides. I had done full internet reconnaissance: message boards, travel guides and maps, without a hint of surf in my vicinity. But I kept my eyes peeled out of every plane, boat and bus. 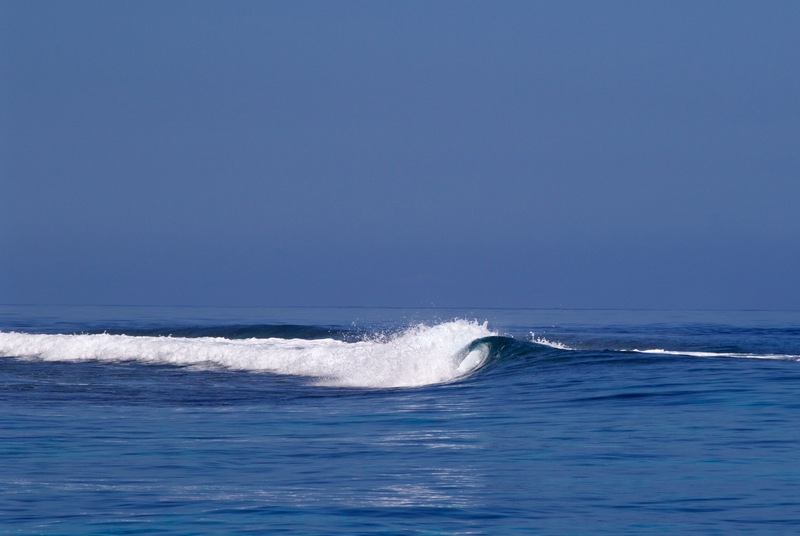 Sitting on the boat after SCUBA diving, drinking some juice, I could see miniature lines of swell bending around the reef. Then I watched a darker lump approach. A long line stood up and the trough began to drop underneath. The Ocean surface was perfectly glassy. 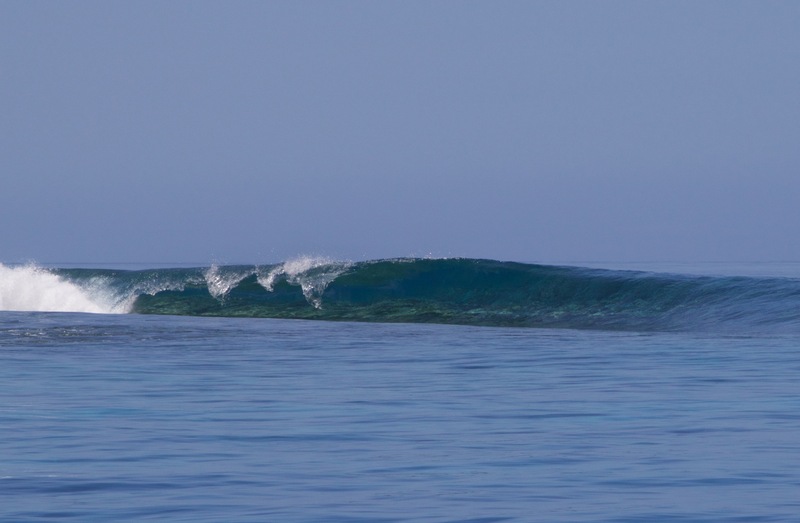 The wave began to break up the reef and perfectly wrapped all the way around. It was only about waist high but it was spellbinding in its perfection. I luckily had my camera and snapped a long sequence. 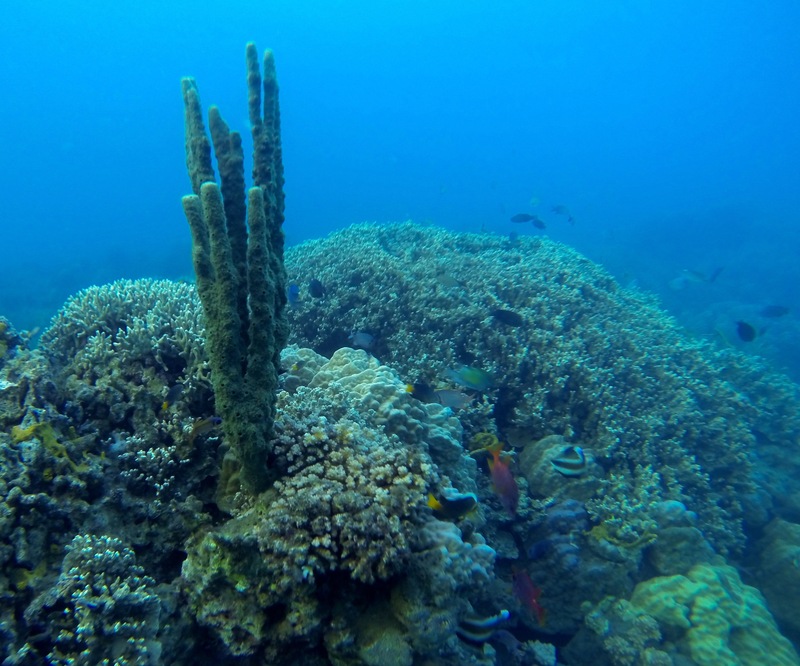 The stunning reef peeked up just inches below the surface. Mind surf. It was one of the most beautiful waves I’ve ever watched. Overall, the trip was a huge success, even without any tube time. I went with a group of 8 students and 3 other adults. 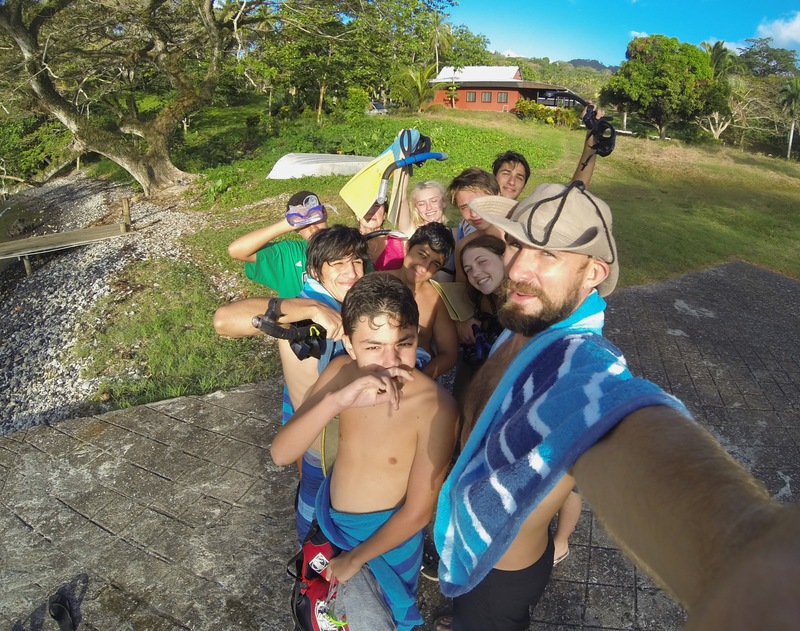 We volunteered at a local medical clinic and a rural village, snorkeled, kayaked, hiked, learned and adventured. A highlight of the trip, as for many visiting Fiji were the people: kind, warm, happy and peaceful. Snorkeling and diving are my favorite activities to stay wet when the Ocean goes flat. I knew I wasn’t going to be around waves in Fiji, but I knew the snorkeling opportunities would be epic. As soon as we arrived at the medical clinic on Buca Bay, I grabbed my snorkel gear, rallied some students and headed out front. I was blown away! The visibility! The biodiversity! 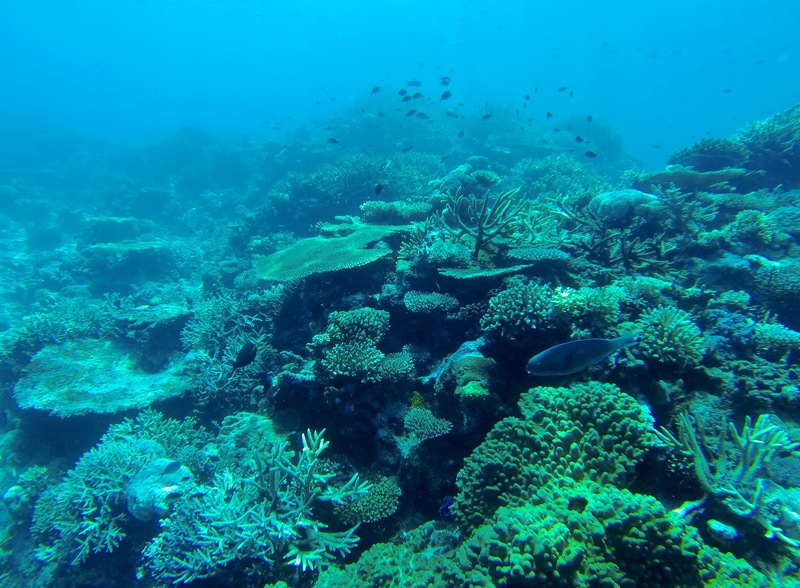 It was just a small patch of reef, but it was beautiful, at least 20 varieties of fish and other interesting creatures. When we went to stay at the Taveuni Dive Resort, I was shocked again! The reef out front of their dock was bigger with even better visibility and more biodiversity. Then, when I had the opportunity to SCUBA dive Rainbow Reef, my mind melted out of my head. 60ft+ visibility, enormous soft corals, a white-tipped reef shark, an eagle ray and various huge fish. I felt exceedingly comfortable at 40ft and wished I could stay down there for hours. 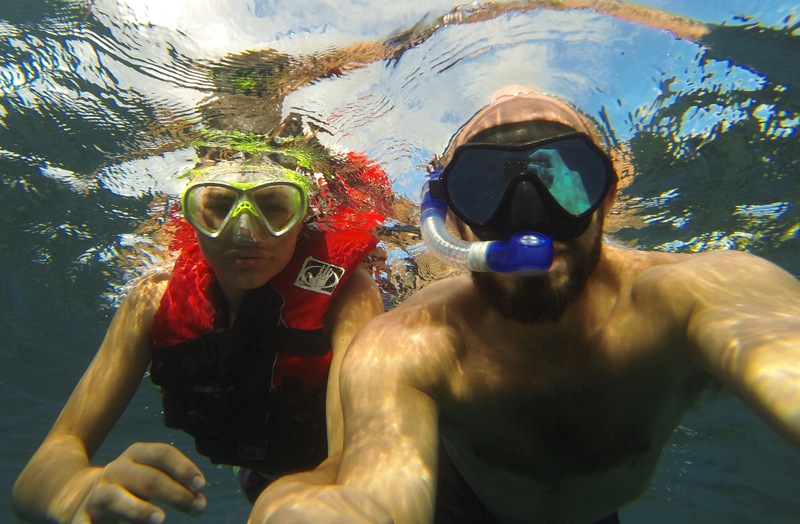 My student, Santiago and I snorkeling Taveuni. 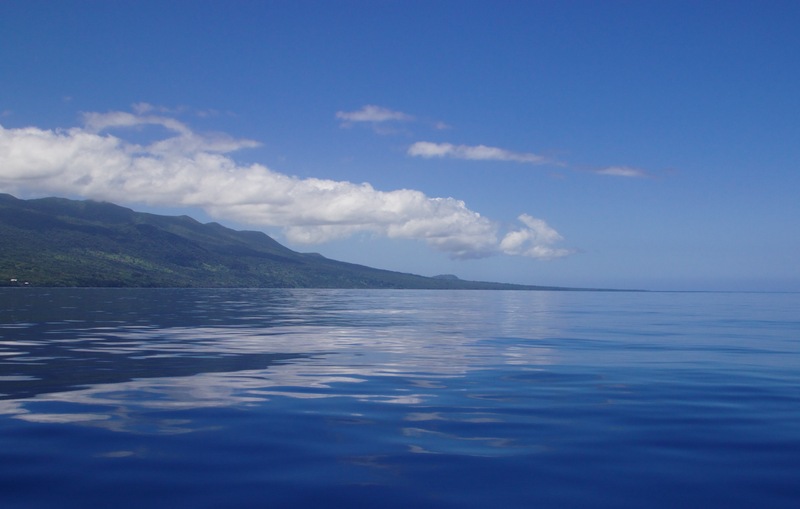 On another boat trip across Somosomo Straight to Taveuni, I could see white water on the horizon. As I watched, I began making out the shape of a wave. 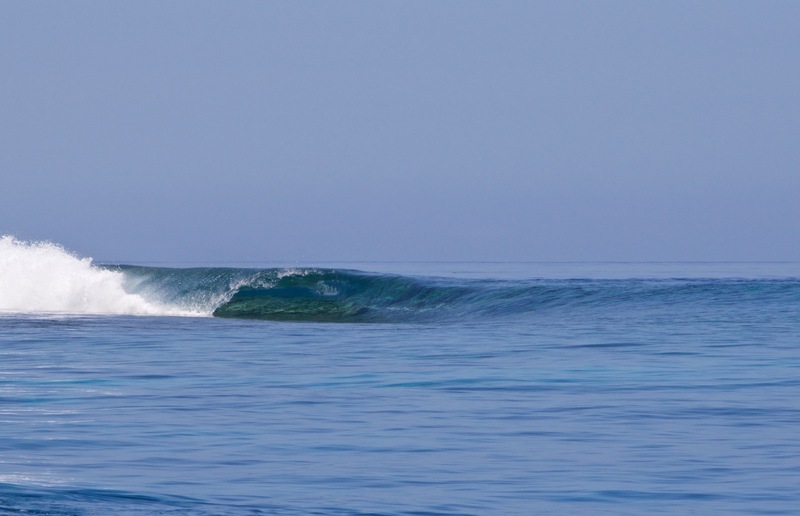 A perfect looking A-frame with a fast, hollow left and a roping right. It was breaking in the middle of the Straight near Rainbow Reef. I was at least a mile away. The waves must’ve been well overhead. I was mesmerized. I excitedly snapped a few dozen photos and had the whole group watching intently. To my students, it was just barely-visible whitewater. But for me, it represented the folklore of exotic tropical surf. 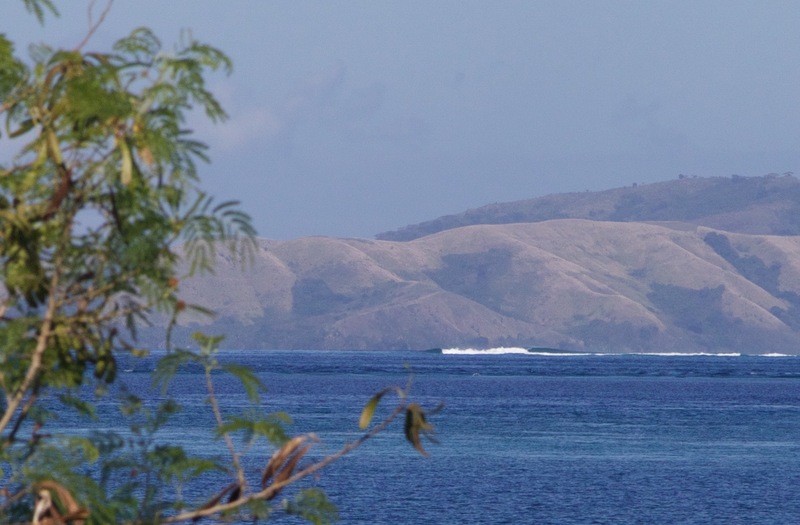 Of all the thousand or so photos that I took in Fiji, the few wave photos are the ones I revisit most. 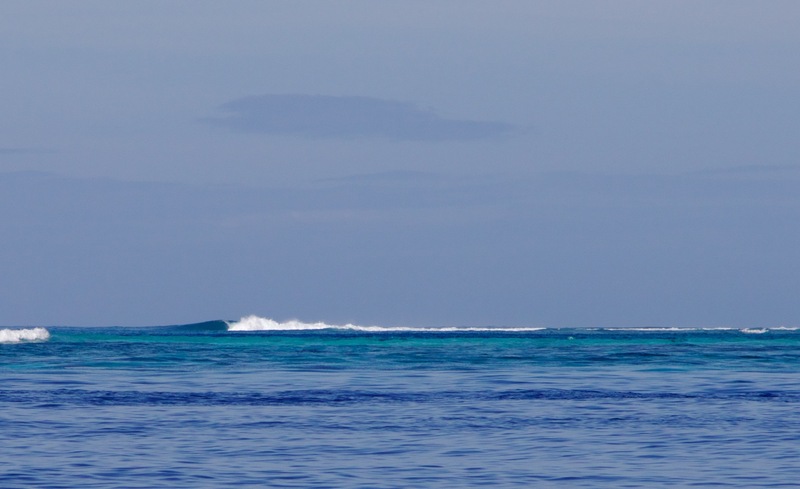 I never came close to riding one, but even the mythology, the dream of experiencing Fijian surf has me fully tantalized…perfectly peeling, glassy across exotic reef. I’ll be back.